This program is designed for students who wish to begin, improve or perfect their knowledge of the French language. Five levels of French are available from Beginner through Superior. The aim of the intensive French language course is to develop both written and oral expression, and comprehension by working on grammar and vocabulary while also learning about aspects of French life and culture. Professors provide a wide range of authentic and varied language activities based on newspapers, advertisements, texts from well-known authors and local and national media and films. Your language level is determined by a placement test after arrival in Grenoble. Classes meet Monday through Friday for 4 hours per day for up to 240 contact hours per semester and a recommended 15 credits. An additional program, the Diplôme Superieur d’Aptitude àl’Enseignement du Français Langue Étrangère (Diploma of Ability to Teach French as Foreign Language) is designed for Advanced level French or above students who are considering a career as a French teacher. For further details of this program, contact the AIFS Admissions Officer. This is available in the spring only. 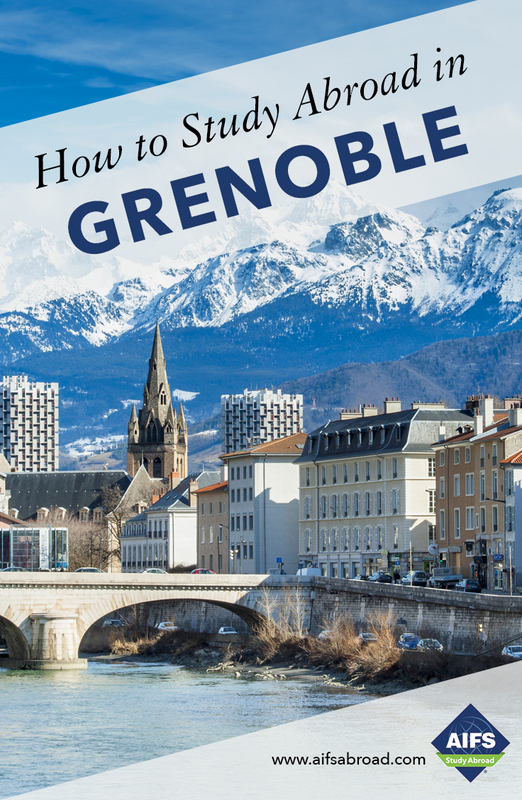 The University of Grenoble was founded in 1339 and now welcomes more than 60,000 students. Grenoble is one of the most soughtafter universities in France and has an international reputation for excellence. In January 2016, the University changed its name to Université Grenoble Alpes and continues to develop and increase its reputation for research, innovation and diversity (academic and student intake). The University occupies a splendid campus on the outskirts of Grenoble at Saint-Martin-d’Hères. Grenoble is regularly voted the most student-friendly city in France.